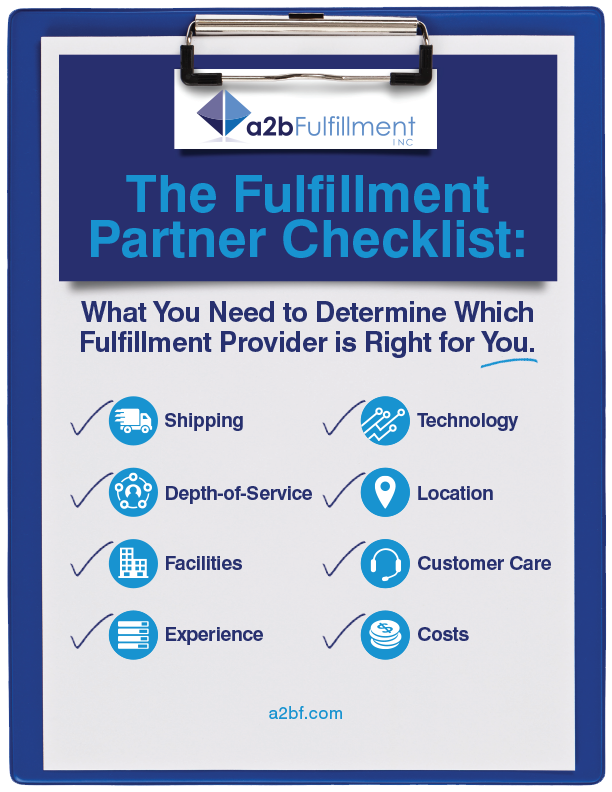 In order to help you make an informed decision, our team at a2b Fulfillment has developed a helpful checklist that gives you the opportunity to compare potential fulfillment providers. A few of the topics that we cover can be seen below. The right fulfillment partner can help you compete by giving you access to discounted shipping methods and incorporating technology that will help control shipping costs. Get the right questions to ask when it comes to shipping! Many fulfillment providers offer a suite of services, including fulfillment, order management, customer service, and reverse logistics. This list helps you define exactly which services you need for your business. It’s important to choose a fulfillment provider who can ensure that the goods entrusted to them are both safe and secure. Learn the questions you should be asking. To do order fulfillment accurately and cost effectively you need specialized systems, labor, management and expertise. Consider our checklist items related to fulfillment experience. It is critical for fulfillment providers to leverage technology to increase efficiency and provide an exceptional customer experience. Our technology questionnaire will help you find a provider that has a technology plan adaptable to the ever-changing needs of the industry and your business. Where to locate a fulfillment operation is more important than ever. Fast deliver and free shipping have become the norm. But how do you position your shipping facility in a location that allows you to optimize shipping costs, while still delivering the highest level of satisfaction? Some fulfillment providers offer Customer Care/Contact Center service under the same roof where the packages ship. Skilled fulfillment providers know how to make Customer Care a profit center versus a cost center, by incorporating upselling and sale-saving techniques, offering you great value. Look for a fulfillment provider that offers fair, yet competitive rates for the quality of service that you expect. beward of prices that are too high or too low. Think you’re ready? 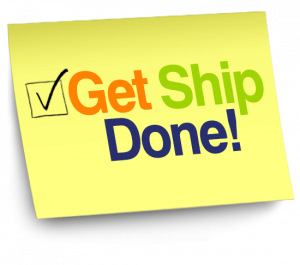 Download Now and Start Getting Ship Done! We hope our Fulfillment Partner Checklist can serve as an effective tool as you determine which fulfillment provider is right for you! Feel free to contact us directly if you’re in need of a fulfillment solution of your own.